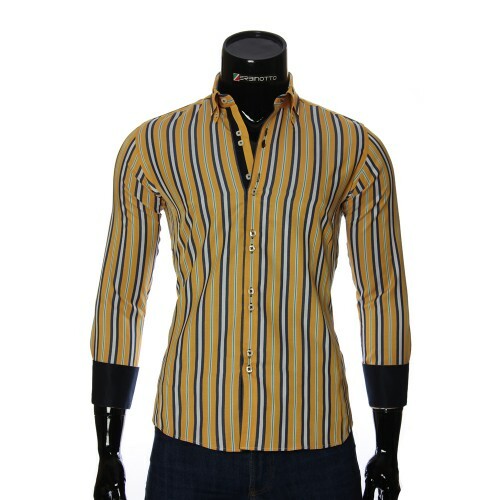 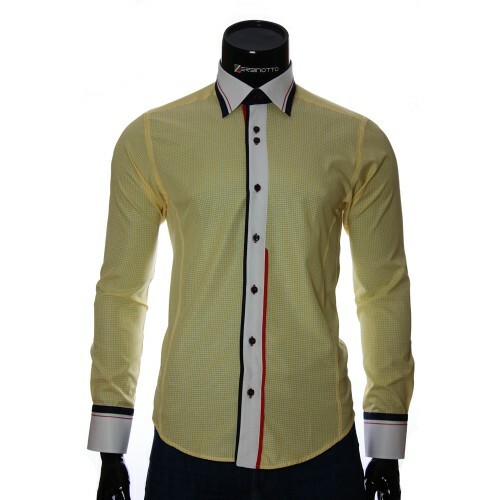 Men's yellow striped shirt with a double collar and cuffs. 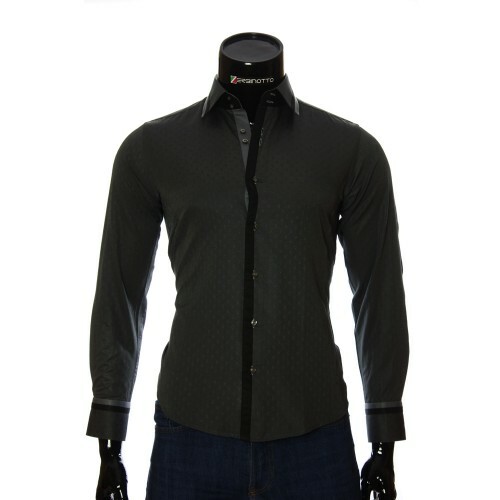 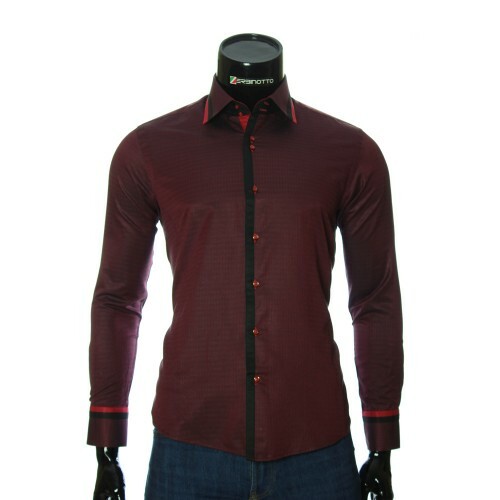 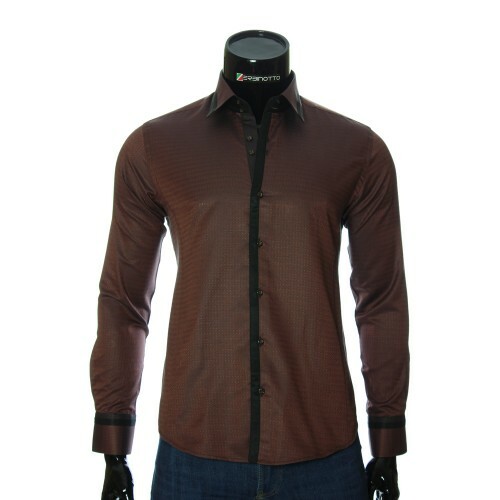 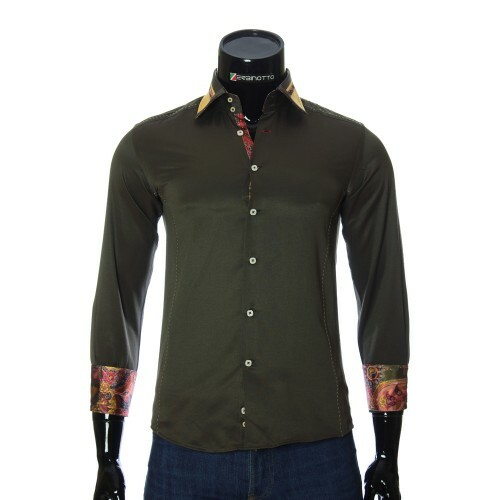 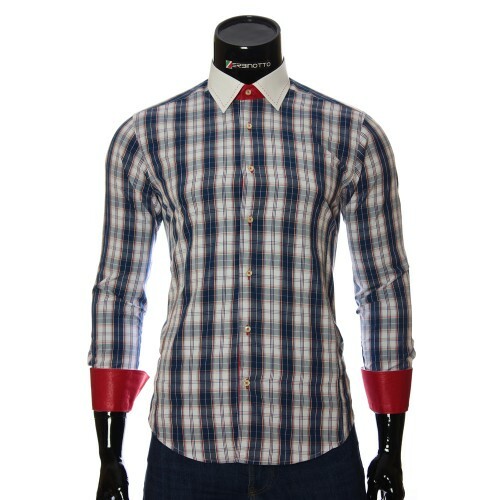 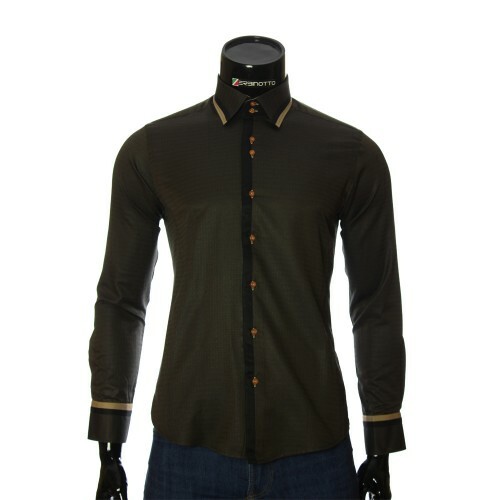 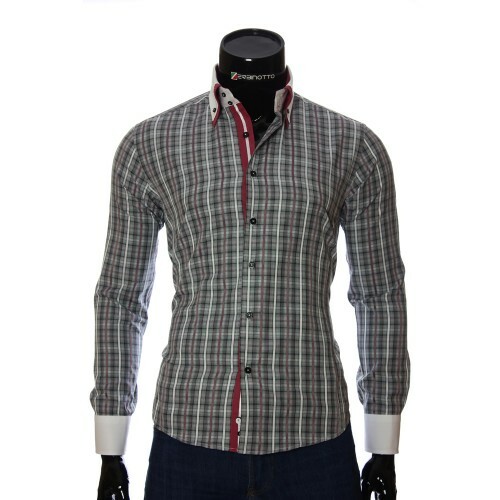 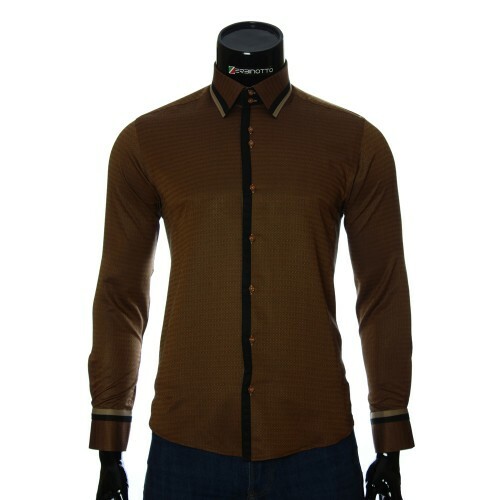 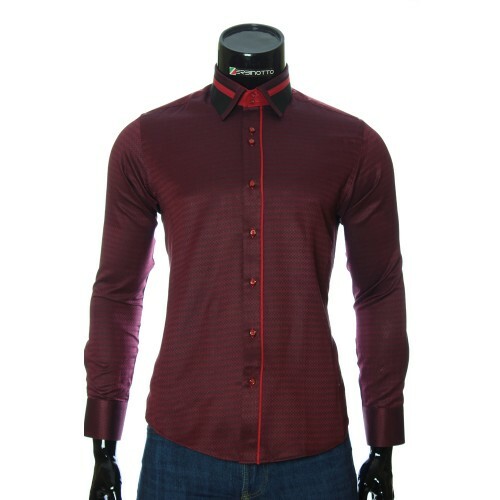 Original men's slim fit shirt from Bellino collection of a safon color. 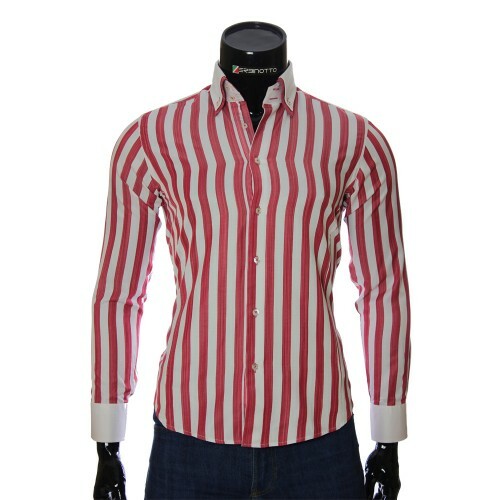 The shirt is made in a multi-colored strip. 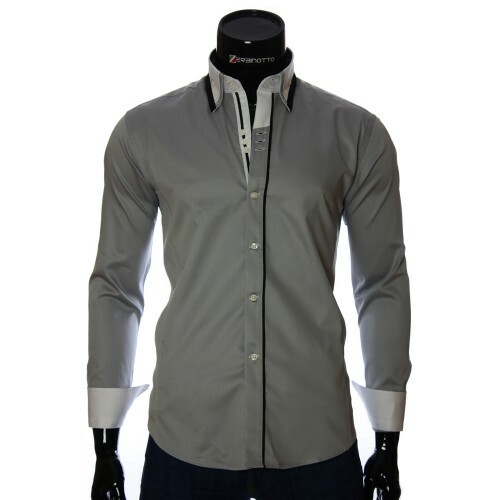 The collar of a shirt is double for men on buttons. Man's cuffs are double-sided. 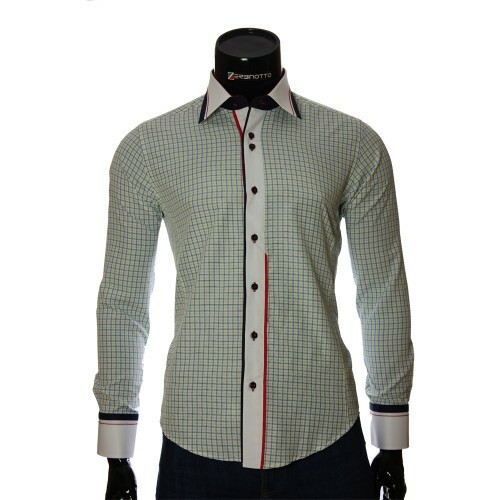 The cuff design uses a contrasting color pattern. 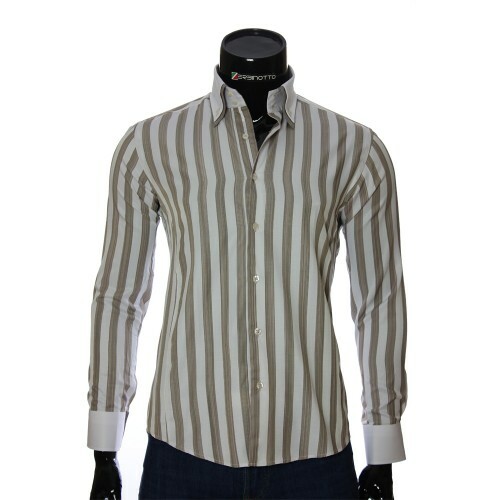 The inner line for the buttons is made in a black and white strip.